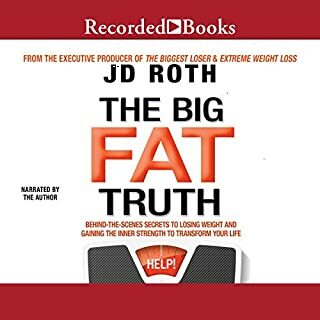 Mining the same problem-solving and motivational skills JD Roth has used so successfully with reality show contestants, The Big Fat Truth gets listeners to address the real reasons they're overweight (and nobody gets away with saying it's because they love food). With his combination of enthusiasm, empathy, no-holds-barred style, and master story-telling abilities, JD helps them unearth and tackle the unresolved issues they've buried under the French fries and chocolate chip cookie. Would you try another book written by J. D. Roth or narrated by J. D. Roth? What didn’t you like about J. D. Roth’s performance? He speaks with a flavour of distinctly macho American enthusiasm which is not in and of itself a bad thing, it's just that the content didn't resonate with me. Disappointment - I can't help but feel there was nothing to be gained from this listening experience. I didn't get anything out of it. If you're looking for insight into weight-loss I would recommend books that are first-hand accounts from people that have lived the experience. This book is more secondary observations and opinions. After undergoing gall bladder surgery at age 23, Jennette Fulda decided it was time to lose some weight. Actually, more like half her weight. At the time, Jennette weighed 372 pounds. Jennette was not born fat. But, by fifth grade, her response to a school questionnaire asking What would you change about your appearance? was "I would be thinner.” Sound familiar? 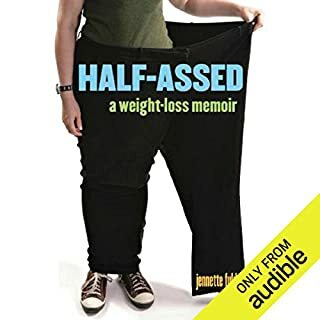 Half-Assed is the captivating and incredibly honest story of Jennette’s journey to get in shape, lose weight, and change her life. Would you be willing to try another one of Teri Clark Linden’s performances? No, in fact, I will actively avoid books that she has narrated. I found her voice to be frustratingly robotic and devoid of expression. The book is full of jokes that are delivered in a flat monotone. In my opinion, there was a distinct disconnect between Teri Clark Linden and the story she was telling. It felt like listening to Schizoid story time. I purchased this book having heard a lot of good things and had high hopes. I also thought it might be interesting to hear a male perspective on anxiety and depression. 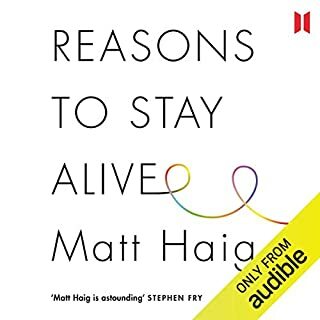 I listened to it in its entirety and while there were some great quotes, Matt Haig's experience and narrative just didn't resonate with me. The overall theme seemed to be that if you wait mental illness out, it will pass. And come back. And pass again. And come back again, etc. I'm disappointed - I feel I didn't learn anything and have nothing to take away from this book despite the authors honesty.